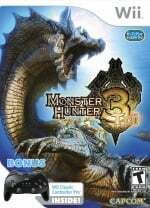 Monster Hunter is one of Capcom's most important franchises, consistently causing retail meltdowns with impressive sales in Japan. Monster Hunter 4 Ultimate has performed well in the West, too, seemingly providing a breakthrough for the franchise outside of Capcom's homeland. 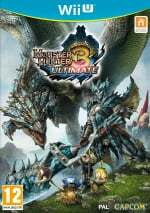 It's an important IP from Nintendo's perspective, it must also be said, with the 3DS-exclusive entries being valuable for the portable - perhaps there's reason to be optimistic that Nintendo will retain the main series entries, especially as Capcom recently confirmed the spin-off Monster Hunter Stories for the 3DS. It's an intriguing franchise, and the popular Did You Know Gaming? series has chosen the IP for its latest video. It draws on past interviews to provide insight into why some of the quirkier design decisions of the games continue, and is generally an entertaining watch. Those are some pretty interesting facts, I wasn't aware Tri and 4 was chosen for Nintendo platforms due to their uniqueness. I took to this series since the first game on Nintendo systems. I was so hyped on Tri that I had my keyboard and classic controller ready day one. This series has never let me down with the seeming endless amount of content on offer. For the last 6 year's it's been by far my favorite franchise and can't wait to see what Capcom has in store going forward. An rpg is a nice start! An HD portable MH would be super! I hadn't even heard about Monster Hunter until Tri was mentioned in Nintendo Power, but since then I've been hooked on this series. I personally hope that we see under water battles return again. I even go back to 3 Ultimate sometimes despite havin 4. The open world thing is happening in the spin-off though. More like economics, like the fact that the Wii was doing well in both the west and Japan when Tri was released (c'mon now, both the PS3 and X360 had better controllers and online connectivity for such a title), and that the 3DS has been the most popular platform of its generation in Japan..........shhhh, don't tell anybody. @sub12 Yeah, pretty sure this vid's creator is just lapping up PR statements... that's an unfortunate side effect of 'fact' vids on Youtube, and one of the reasons you should never use it as education, just as entertainment. A lot of this stuff is true. A lot of outsiders complain about segmented areas, not understanding that's a core mechanic of the game (just like outsiders complain of using tells over health bars and earned progress over leveling up). Separate arena-like areas provide safety which always lies right outside the zone. Open world a monster could chase you to no end. And it allows diversity in landscape- nothing demonstrates that better than Misty Peaks in MH3U and Heaven's Mount in MH4U, heck even Ancestral Steppe. It's harder to have such abrupt changes in a contiguous environment. As they said, I'm sure it could be done but it's so heavily intertwined in the gameplay formula now it would require some serious overhaul to accommodate. And I like it how it is anyways. I really hope they bring over their MMO for Wii U. They've been hinting at it for years. I think I remember when 3 was still planned for PS3, and the Rathalos armor was a selectable costume in Lost Planet 2. Then it shifted to Wii. And that ultimately led to my first experience in Monster Hunter. I'm certainly interested in the latest version of the MMO coming to the west. I'm leaning towards the PC version, but a few Nintendo crossover armor sets have appeared on the Wii U version. Plus there's player population to consider, and nowadays, when you think Monster Hunter, you think Nintendo. Also, that narrator sounded familiar. Maybe it's just me. I'm currently addicted to MH4U. Thanks to Spoony and some of the others found lurking here at Nintendolife for strongly encouraging me to make the purchase over another game.